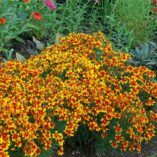 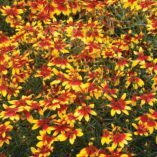 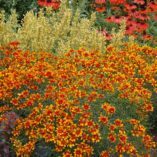 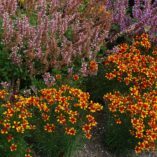 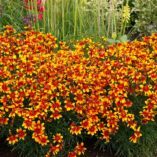 Coreopsis ‘Lightning Bug’ | TERRA NOVA® Nurseries, Inc. 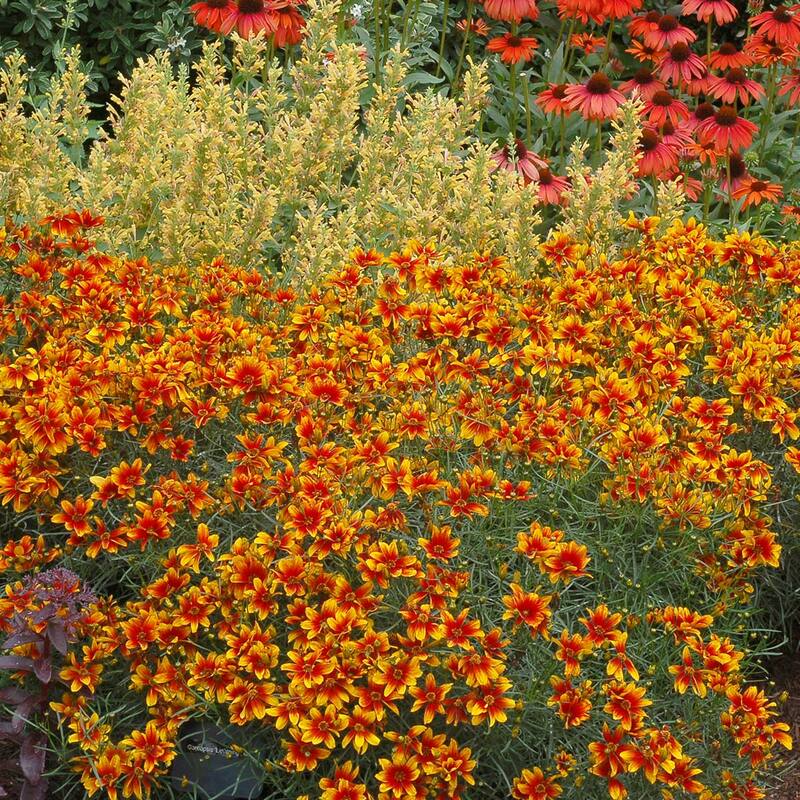 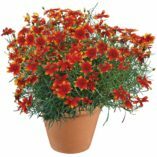 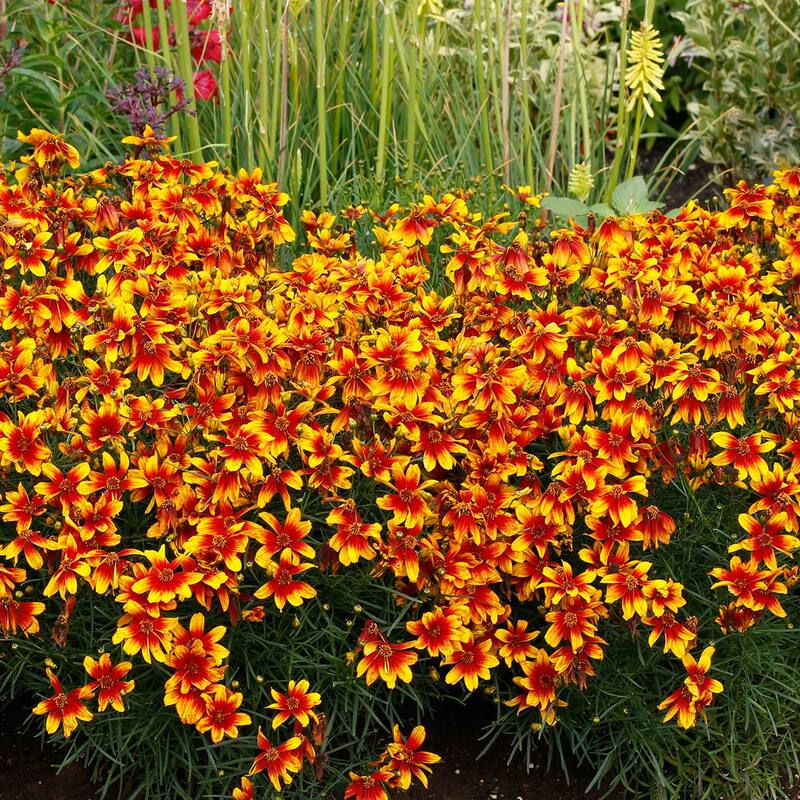 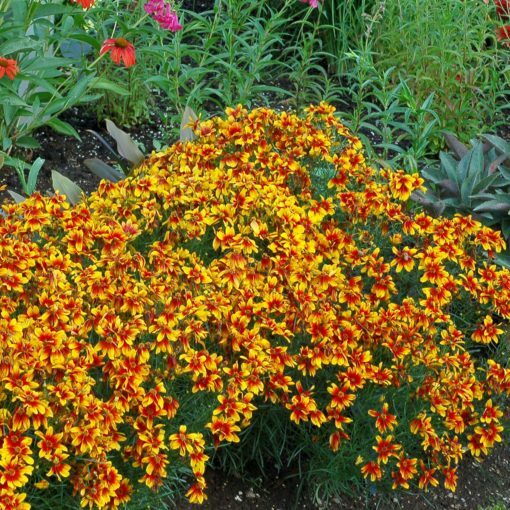 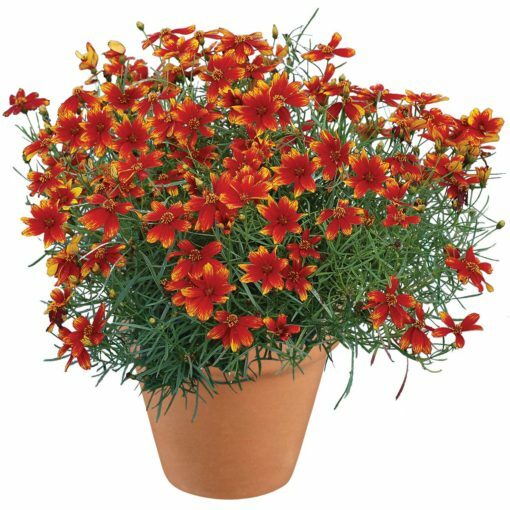 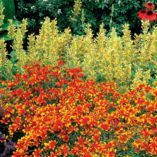 This brightly colored Coreopsis is covered with large, red-eyed, gold flowers. 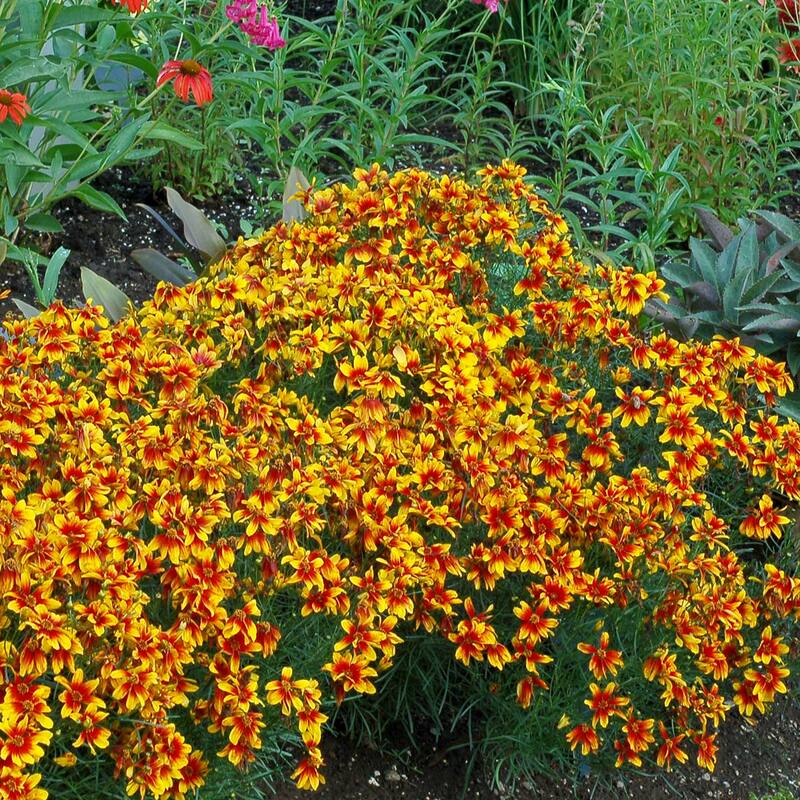 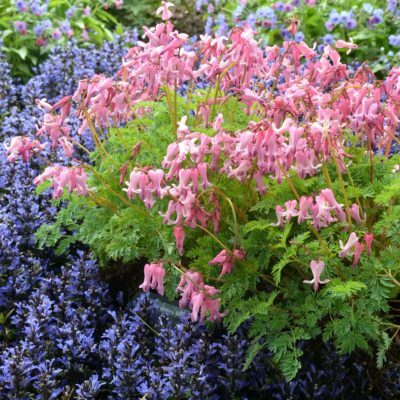 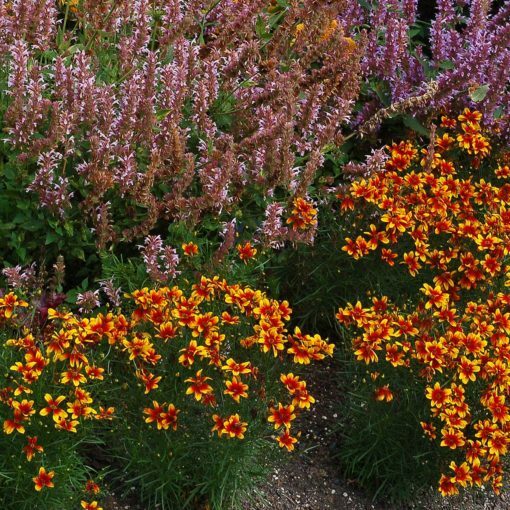 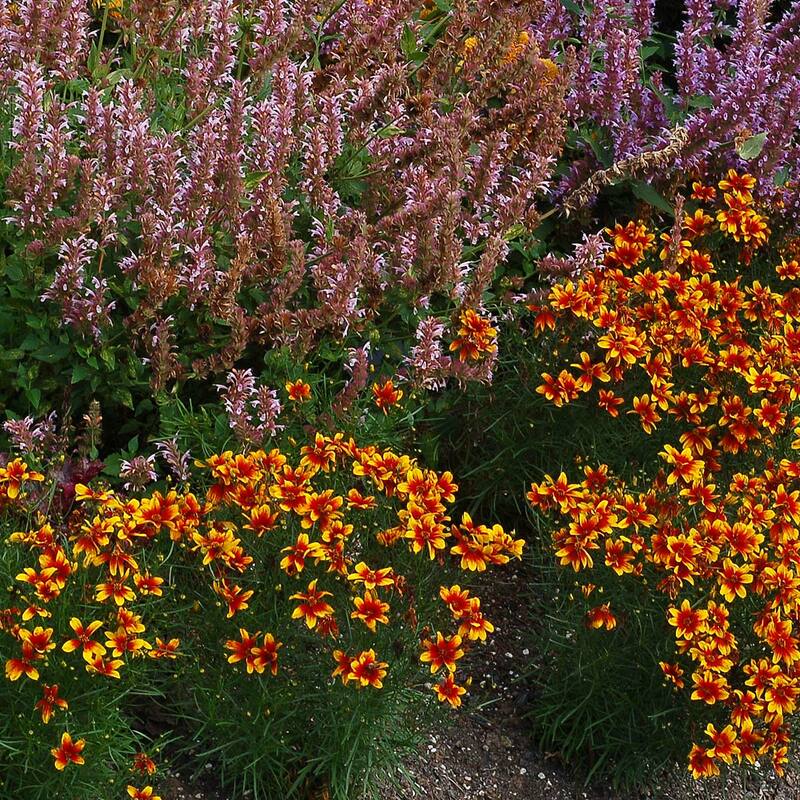 The self-cleaning blooms cover the top of the low, compact habit (similar to 'Firefly'). 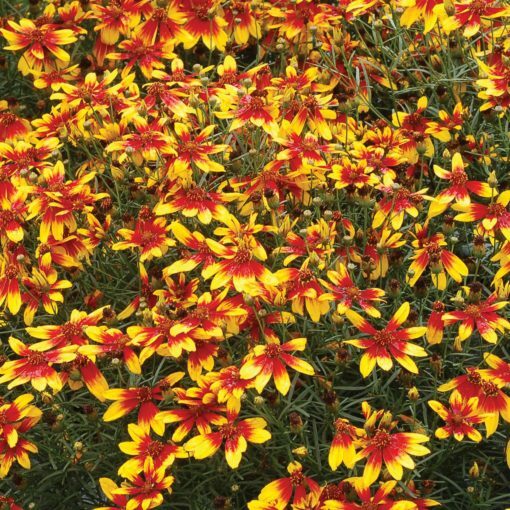 Loved by bees and butterflies. Like 'Firefly' but with red flowers with gold tips. 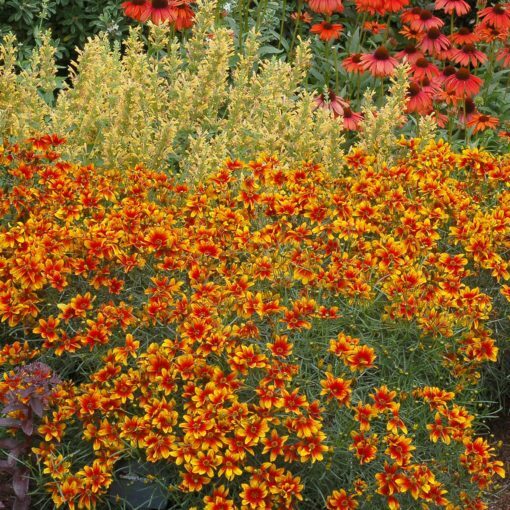 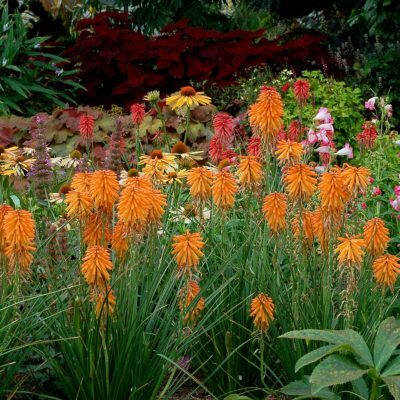 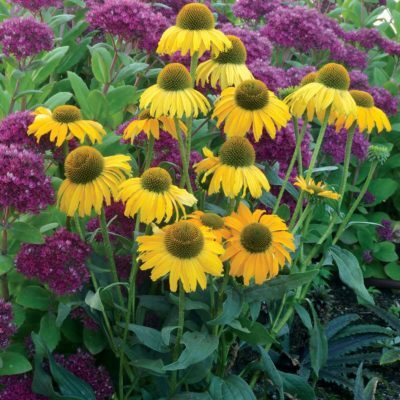 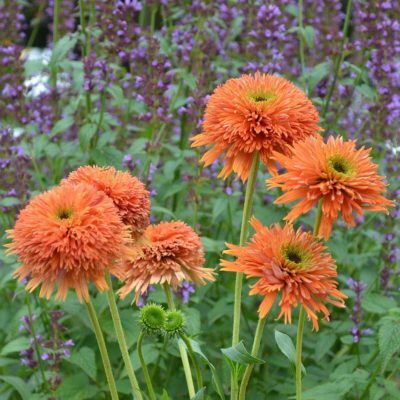 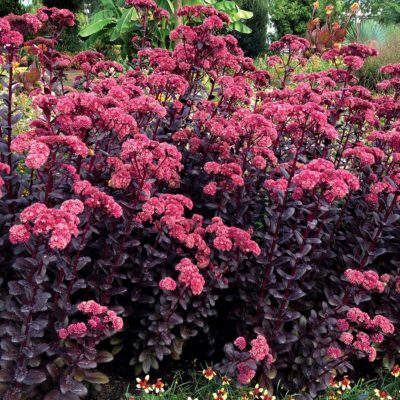 Shorter, denser, and with smaller flowers than Probst varieties. Good mildew resistance.